This week at Frequent Miler, we started out by telling you how to count your 5/24 status — then we followed up later in the week with a brand new card that isn’t subject to the rule. You’ll find subjective analysis of the objectively ranked best offers as well as a new multi-faceted portal and a travel card that might actually save you some cash. All that and more in the recap. 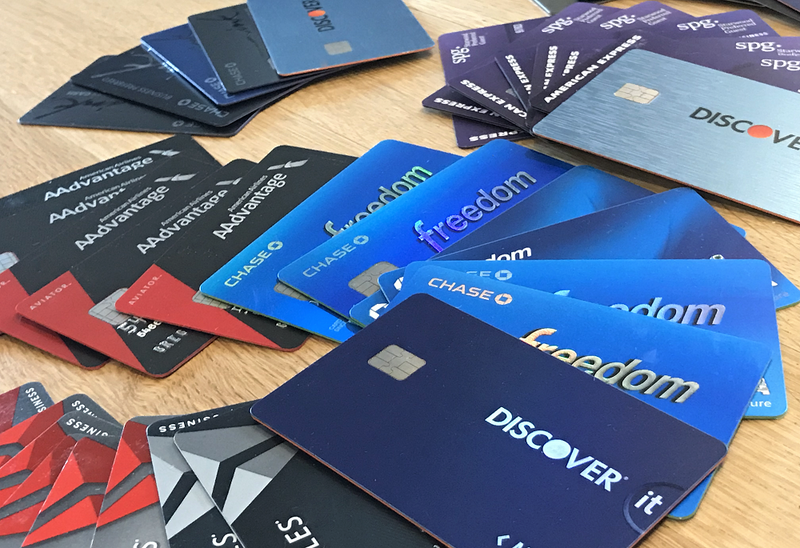 Our Top 10+ credit card offers page provides what is meant to be a very objective ranking — we don’t choose the cards that end up there, but rather assign values to points and benefits like free night certificates and allow mathematics to do the rest. However, there is a human element in deciding which offers are best for you. In this post, Greg offers his take on that element with an eye towards helping you figure out which offers make the most sense for you. Out of the blue, Chase has launched a new airline credit card, and early reports indicate that it is not subject to 5/24. That’s great news, and it got better with the announcement that they will also launch an Aer Lingus card this spring (See: Chase to launch new Aer Lingus credit card). With three cards on the market that earn Avios and the ability to transfer them from one program to another, this makes for an interesting opportunity to earn a pile of Avios — if you can meet the required spend. The big spend bonus on this card doesn’t look bad either, as $30K in purchases will get you $1,000 off a companion ticket in economy, premium economy, or business class. If UPS wasn’t the least likely candidate to start a shopping portal, local deals site, and employee discount program all rolled into one, I’m not sure who was. While I’m always happy to find another shopping portal for comparison, I’m most interested in what other “employee purchasing program” type benefits come up (like the 15% tuition discount or $100 VGC per newly opened T-Mobile line noted in the post). If you’re a Marriott Rewards Premier credit card holder, you get an annual free night certificate. Did you know that Marriott will let you book that night before you even receive the certificate? An interesting aspect of the Marriott Rewards program is the ability to book a stay ahead like this and then attach the certificate/points when you get them. Read on to find out how. I had a great experience with the Citi Prestige Trip Delay coverage last year — they covered me for the $500 max when my flight arrived too late to make my connection and hotels were expensive. However, they wouldn’t do that today. In my opinion, this is a major devaluation of the benefit. As someone based near a small airport with limited incoming flights each day, I was booking all cash tickets on my Prestige card specifically for the coverage in case I got stuck overnight in an expensive city. It’s an unfortunate scenario because my reading of the benefit doesn’t match up with the way it’s being applied, but since the value of an arbitration claim would be so low, it’s not a war that most will be willing to wage. For now, I’m booking with Chase cards unless I’m on a direct flight. The annual Alaska Airlines Companion Fare is a great credit card benefit that can be used for value well beyond what you might expect with a “single-use” companion ticket. This post explains why I wrote the guide, but don’t forget to click through on the links within this post to find the full guide, which has also been added to the “Travel” section of our Resource pages. Has someone ever tried to sell you on an idea that’s too good to be true? Any time I see some sort of travel card that claims to offer huge savings for pennies on the dollar, I assume there is a “gotcha” that makes it a bad deal — or at least much less enticing than advertised and no more incredible than other options readily available. However, in this post, Stephen shows that’s not always the case, as there are some limited instances where you might just come out well ahead with this Travel Savings Card — but YMMV. A lot of (virtual) ink has been spilled on the Chase 5/24 rule. Since you can’t get approved for some of the best Chase cards if you’ve opened 5 or more new cards in the past 24 months, a lot of us have a keen interest in knowing our precise status. If you can’t quite remember what cards you opened in 2016 or you don’t know if you opened card XYZ in February or April, this post will give you a few easy ways to find out. That’s it for this week in review — check back soon for our week in review around the web and this week’s last chance deals.